Kids, be it boys or girls, love to have rooms that show their love for their favorite celebrity, off to their friends. After finishing third in the X-Factor finals, One Direction has become increasingly popular among teens everywhere around the globe. 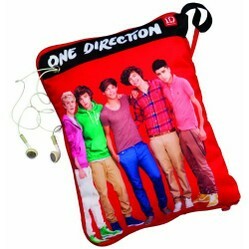 This has sparked a massive demand for themed One Direction decoration items and furniture. 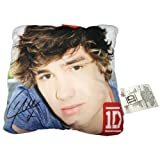 So, a little redecoration in your kid’s room with the help of some One Direction theme products will certainly make him the happiest kid on earth. This attractive single duvet cover and pillowcase set includes a single bedspread and a pillow cover both made out of 50% cotton and 50% polyester. 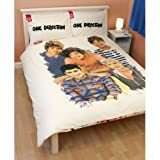 The bedspread features photographs of all five One Direction members. What makes this bedspread unique is that every photograph is signed by the band member himself. Who would want to miss out such an amazing opportunity of getting an autographed photo bedspread? No wonder this would make a hearty treat for every One Direction fan! 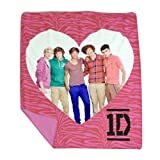 But, if you have a pair of One Direction fans at your home then you will certainly need a pair of pillowcases and a double bedspread. The same autographed photo bedspread design has been recreated for double beds as well. Both the pillowcases and the bedspread are made out of 48% cotton and 52% polyester. 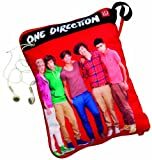 If your kid loves being simple then this simple white set having One Direction written on the pillow covers and group photo of the band on the spread will make an easy to grab and budget effective choice. If you don’t want to spend more on buying the whole bedding sets, you can add a variation in the bedroom by getting only these themed blankets and pillow cases. The grey Crush fleece blanket featuring the band group photo will compel the boys to cuddle in bed and spend their afternoon listening to their favorite band all by themselves. 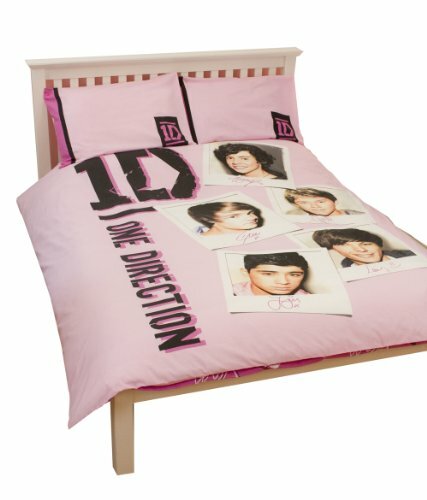 Whereas the girls will enjoy clinching to the pink zebra pillowcase that features One Direction group photo in a heart! These collectible pillows that usually measure around 10”-14” are convenient to carry around wherever you want. 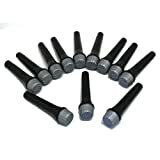 Kids can use them while lying on sofa or couch and can even take them along to school. 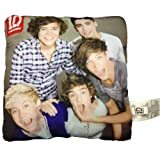 The 10” pillow having Liam’s autographed photo and the 14” pillow showing off the fun-side of the band is simple yet attractive enough to catch every kid’s attention. It can also be turned over to reveal a plain red pillow at times when the kid is not around. The best grab of them all is the Hide ‘n’ sleep pillow that comes with: a notebook, a purse, pockets for keeping an mp3 player, a hole for letting your headphone peep through and several pockets for storing things the kids love to have in a secret yet safe way. Finishing the front cover with a cool group photo of the band, this collectible is very much likely to make your kid shout with joy! Finding a hard time in managing the themed décor within your budget? 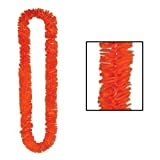 Grab one of these decor items and place them in the bedroom to make your kids jump with excitement. The 36x24” group music poster can either be framed or pasted as it is on any wall. The signatures of all band members make the poster more admirable. Adding to the décor, a Stand-up cutout of your kid’s favorite band member featuring his signature will make your kid cling to it and take pictures to show them off to friends. Being a simple but effective decoration element, wall clocks and alarm clocks catch almost everyone’s attention. 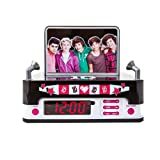 One Direction themed alarm clock featuring the band group photo on a stage with lights, and FM radio and an AC adapter will keep your kid updated with time and music. Not only this, the wall clock comes with dry-erase marker and wall decals to make the room fit your kid’s dream!